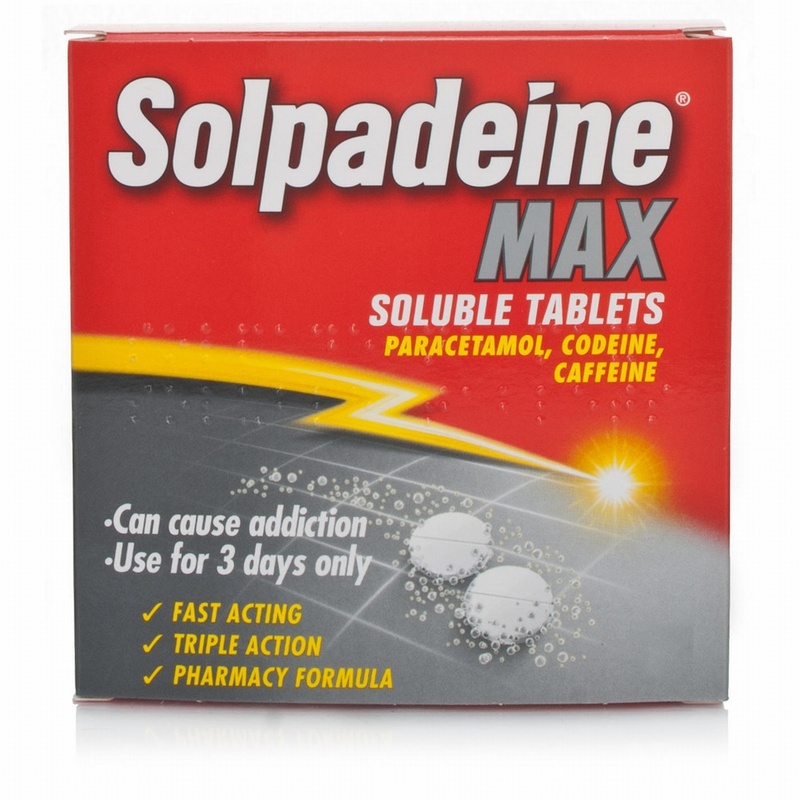 Solpadeine Max Soluble tablets are for the short term treatment of acute moderate pain when other painkillers have not worked. Fast acting, triple action: Paracetamol 500mg, Codeine 12.8mg & Caffeine 30mg. Suitable for adults & Children over 12 years.